THE BARAI offers an incredible team of Health and Wellness professionals who are available to assist guests throughout their stay and ensure an unforgettable spa and wellness journey. Our team endeavours to provide a supportive and nurturing environment, ensuring the ultimate Barai Spa Journey to Wellness. Sylvia is a valuable addition to our outstanding BARAI team. Sylvia, a graduate from The UniverHer profession was mainly within the Business and Managerial side of Health Care, Private Practice and the Wellness/ Spa industry. Prior to joining Hyatt Regency Hua Hin, she was Head of Practitioner Team & Wellness Consultant at the Kamalaya, Wellness Sanctuary and Holistic Spa Resort Thailand.sity of Westminster, London with a Bachelor’s of Science, Homeopathic Practitioner, Honours degree in 2003 has spent more than 10 years working in Health Industry, International Exposure in Europe, Africa and Asia. Khun Jit has a wealth of hands on International Spa experience having worked in world class Spa’s in both Dubai and the Maldives. She is highly organized and detail-oriented and with over than 10 years’ experience spa industry. 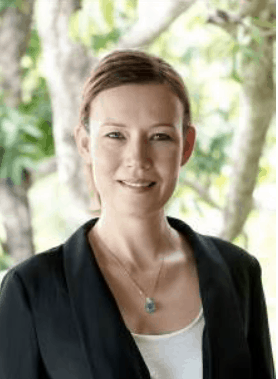 She provides essential support to The Barai team, particularly within the training department, ensuring our team of therapists are up to date and trained in the latest techniques and International Spa standards. Born on the south coast of N.S.W in Australia, Chef Ryan specialises in contemporary European and modern Australian cuisine with 10 years of experience in 5-star hotels and 9 years in free standing restaurants. Chef Ryan had a successful career at some of the top restaurants and hotels in Australia and Norway prior to joining Hyatt family. In 2009, he started his career with Hyatt at Hyatt Regency Ekaterinburg, Russia. After making a mark on the Russian food scene in 2013 he moved to Bangkok Thailand the land of smiles and held the responsibility of Executive Sous Chef at the legendary Grand Hyatt Erawan Bangkok. This was prior to his appointed position as Executive Chef of Hyatt Regency Hua Hin and THE BARAI. With a deep passion for the culinary world and hospitality industry, his focus is to serve the best local ingredients using inspired international techniques. Following Hyatt’s thoughtfully sourced and carefully served philosophy Chef Ryan is also a leader in sourcing sustainable produce & seafood for Hyatt hotels and resorts in Thailand.